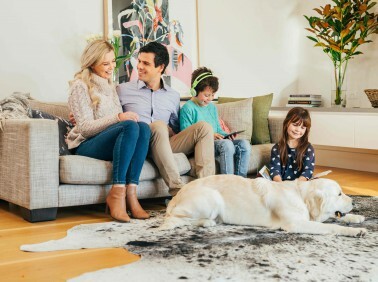 MyHome Caulfield makes use of a highly complex dry-touch carpet and rug cleaning system that will have your carpets dry in approximately one hour. This cleaning system is combined with Healthguard to effectively get rid of the mould, fungi and bacteria from your carpets. This innovative cleaning method also restores the natural brightness, colour, softness and balance your carpets. MyHome Dry touch definitely does not leave behind any damp carpets smells and harsh chemical odours after cleaning. However, you can expect to find a fresh and fragrant smelling carpet after each cleaning. In order to avoid stretching and shrinking of your carpets, we do not make use of any strong chemicals, huge amounts of moisture or large amounts of heat. A good vacuuming is also done before each cleaning service. There are a lot of reasons why people prefer having carpets in their homes. Lots of people enjoy the warmth and coziness carpets bring into the home. And others enjoy the different colours and designs that they are available in. People also enjoy the insulation and cozy feel to the home, especially during the wintertime. This can also lower your energy usage and save you money. If you have pets and kids that play in the house, carpets can help to keep them safe and warm too. Ultimately, when you have carpets inside your home you also need to ensure that they are kept clean and hygienic at all times. 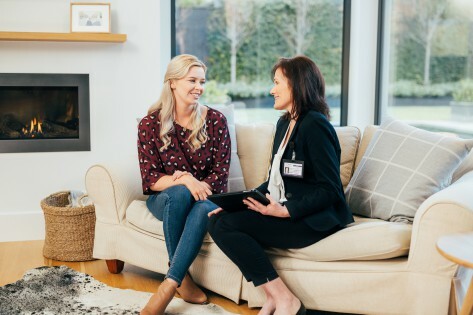 One way in which you can keep your carpets clean all the time is by hiring a professional carpet cleaning company such as MyHome Caulfield to keep your carpets hygienic. By hiring us regularly to get your carpets cleaned, you will ensure that they look better for longer and also last longer. Your carpets will also smell fresh all the time. The main advantages of using MyHome carpet cleaning is that we don’t make use of tons of water to clean your carpets and we guarantee that your carpets will be walk-on dry in only one hour. Our guarantee to you is that if you are not 100% happy with our services, we will clean your carpets again and this time will do it free of charge. Getting carpets cleaned and smelling fresh, might sound like a relatively easy job. However, the challenge comes when you need to find a company that is reliable and does not make use of the hot water extraction system. This hot water extraction system is used by most carpet cleaning companies and it depends on a mix of strong chemicals and hot water to get your carpets cleaned. Ultimately this system damages your carpet fibres and fabrics. It also leaves a damp and chemical odour behind. If you want to deal with an innovative carpet cleaning company, you need to call us on 13 22 31 for a free, no obligation quotation. Alternatively, you can send us your enquiry online and we’ll get back to you as soon as possible.